Considering Thorpe Park opens in a week, i thought it would be a good time to post this now. Simply follow the link and register. Then print the voucher. Buy one ticket get one free. Plus two fast passes for Saw: The Ride. 1. *If the holder of this voucher buys a fully priced adult ticket to THORPE PARK then s/he may take with him/her one other person who will enter the Park on the same day free of charge. 2. This Voucher is valid until 30.04.2011 EXCLUDING 28 - 31.10.2010 & 22 - 25.04.2011. 3. Check opening dates and times before your visit. 4. Only one Voucher per person and per transaction. An Adult is aged 12 and over. 5. Visitors under 1 metre in height enter the Park free of charge. 6. Visitors under 12 years must be accompanied by a person 18 years of age or over. 7. Voucher can only be used as stipulated and cannot be exchanged for cash. 8. Sale of this Voucher for profit is prohibited. 9. Admission prices subject to change. 10. Voucher cannot be used in conjunction with any other offer, ticket or advance booking. 11. Voucher must be presented upon entrance and surrendered to the ticket booth operator. 12. Defaced or amended vouchers will not be accepted. 13. This Voucher is not for resale. 14. Size, height, weight, age restrictions and medical warnings apply to certain rides and attractions. 15. THORPE PARK reserves the right in its absolute discretion to refuse entry and to close and/or alter all or any part of the facilities Please visit thorpepark.com for further information and opening times. Deffo gonna use this. Heat. 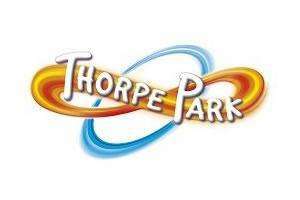 i have 2 tickets for thorpe park (23/03/2011). i want to sell it if anyone interested. Tells me I've already been allocated tickets for this promotion, even though I haven't! Tells me I've already been allocated tickets for this promotion, even … Tells me I've already been allocated tickets for this promotion, even though I haven't! The site has probably now logged your IP address (for what ever reason) and wont allow u to make a second purchase - use something like a proxy server to obscure your IP and try again. i get free merlin passes! i thought it was always BOGOF, at least the last two times i've been there it was. so just two free fast tracks, worth £6-8? Don't count on it being quiet - we went to Chessington on the AP day last year and it was packed! Can you use tesco vouchers with this? I'm going to Thorpe Park on 21st March, looking forward to my first adrenalin rush of the year!! I am the only person thinking that fast track wont be that fast? It is legit I was unsure, so I emailed Thorpe Park and they confirmed that it is a REAL, working voucher. Thank you for your email regarding your enquiry. We are pleased to confirm that this offer is legitimate and you will be able to redeem your 2 free Fastrack as long as your voucher is valid on the day you visit the park. All you will need to do is take the voucher to one of our sales desks on park (located in the dome or by Nemesis Inferno) and you will then be able to redeem your voucher for the SAW-the Ride Fastrack tickets. We hope that you have an enjoyable visit to THORPE PARK soon. when it says this is valid until 30th april, is it valid ON the 30th april? when it says this is valid until 30th april, is it valid ON the 30th … when it says this is valid until 30th april, is it valid ON the 30th april? Nope, you have to buy 'a fully price adult ticket'.